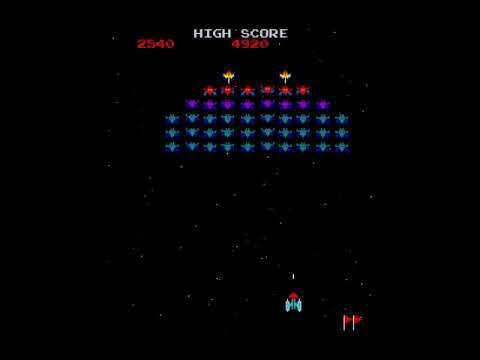 My wiki has a 2005 entry about MAME emulation of various games, among them Galaxian. Got the score 4370 in MAME. Got the score 7220. Tried my Galaxian luck in the awesome arcade in Santa Cruz. Played my old favorite at the Musée Mécanique. I'm playing a lot of fixed shooters right now, and it's a joy to come back to Galaxian. Didn't beat my score, though. On my way home from Silkeborg with Nabaz, I played a bit of the old classic.